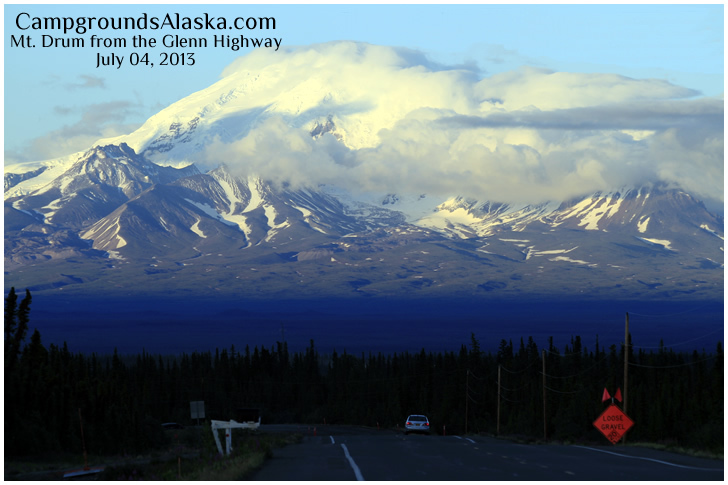 Plan a visit to Glennallen Alaska - Gateway to Wrangell-Saint Elias National Park and the Copper River Basin. Let your adventure start here in the shadows of Wrangell-Saint Elias National Park. Begin with a trip to the Copper and Klutina Rivers where Alaska salmon fishing is a popular summer event. Campgrounds near Glennallen Alaska including full service RV Parks with RV hook-ups and wifi too. Glennallen is the major hub located at the intersection of the Glenn Highway and Richardson Highway. From here one can head south towards Valdez, north towards Paxon and Delta Junction or take the Tok Cutoff and head for the border and the Alaska Highway.